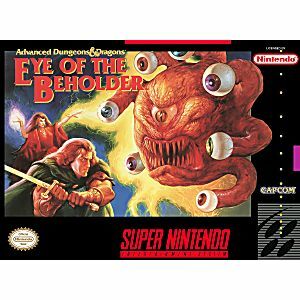 AD&D Eye of the Beholder SNES Super Nintendo Game Cartridge Cleaned Tested and Guaranteed to Work! Darkness has engulfed the town of Waterdeep and legend has it that the criminal conspiracy behind it is hiding in the sewers. The locks and the traps in the twisting labyrinth beneath Waterdeep are too good and Skeletons and Kolbolds lurk around every corner. Who could be at the heart of this evil? And can anyone survive to find out? 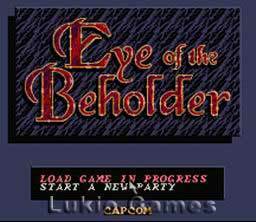 In Eye of the Beholder, you take control of a band of four adventurers as they seek to unravel the mysteries beneath Waterdeep. 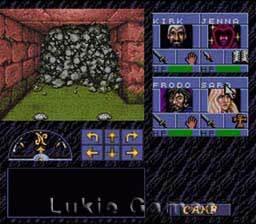 Using an easy to use "Point and Click" interface and 3-D point of view, you become part of the action as you do battle with Mind Flayers and Mantis Warriors who seek to put an end to your mission to purge Waterdeep of the evil. Unless you're really into old style RPGs, I would stay away from this one. If you do buy it, there are online walkthroughs that can help when you're stuck. 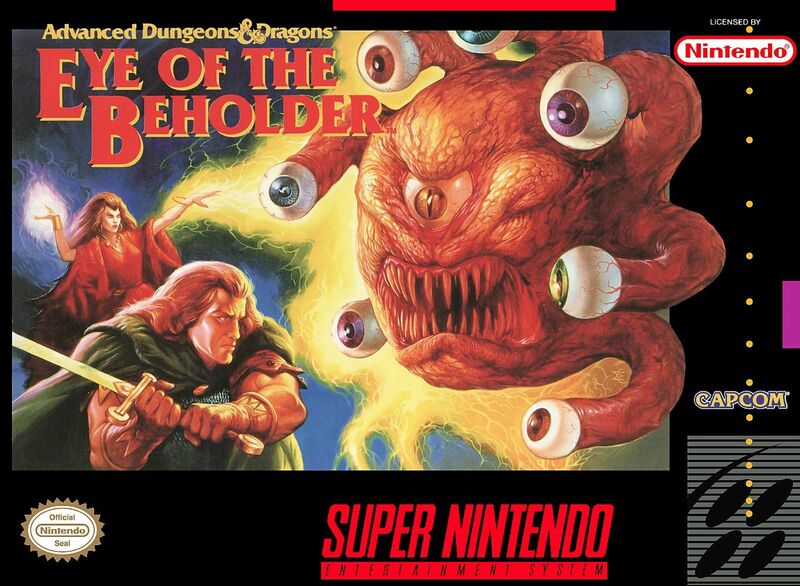 Another game in the long list of AD&D games, Eye of the Beholder is a decent dungeon-crawler RPG. Its controls and set-up take some practice but its an overall fun game. A FAQ is recommended though for these types of old RPG's. Worth picking up for any fan of Dungeon-Crawler RPG'S.